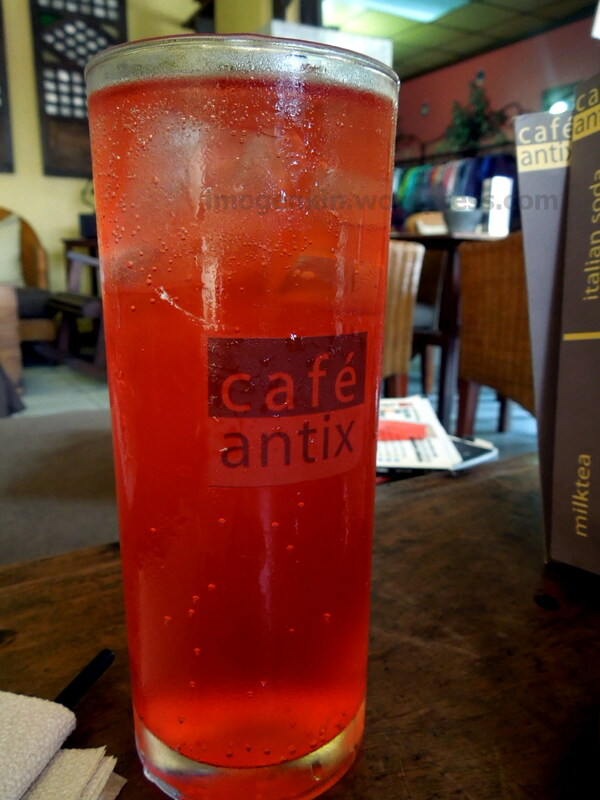 For a first timer in Cafe Antix, I must be quite impressed and immediately blogged. They have opened for some months now but I have just tried it for breakfast today. They also have an array of drinks. 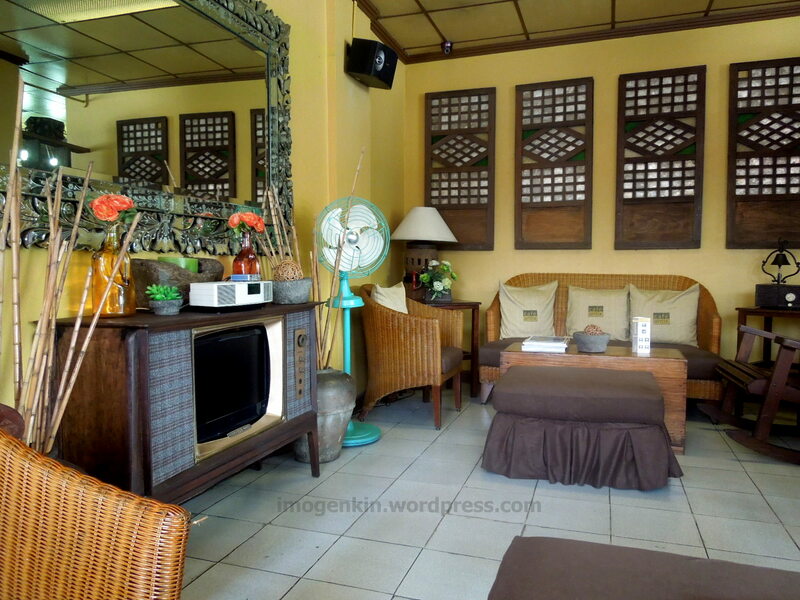 From lattes to frappes to sodas and milk teas. 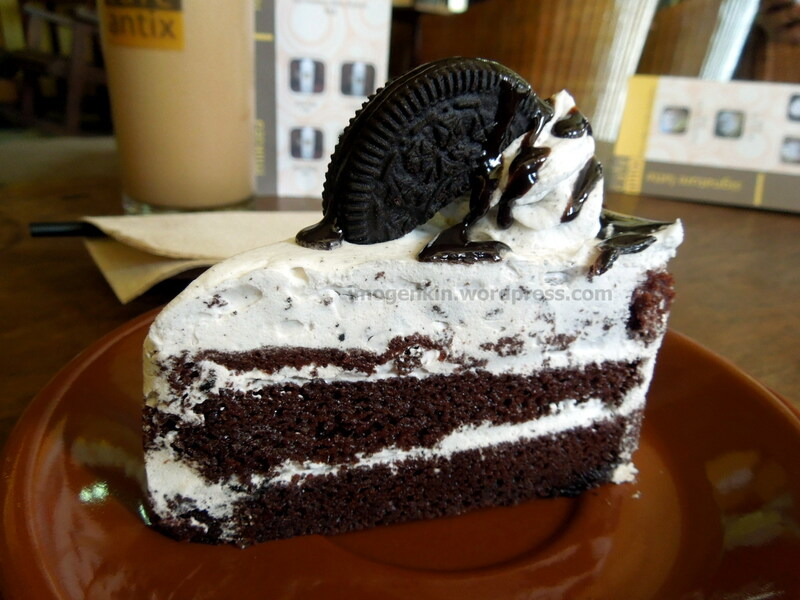 There are also choices of cakes and pasta to munch on. 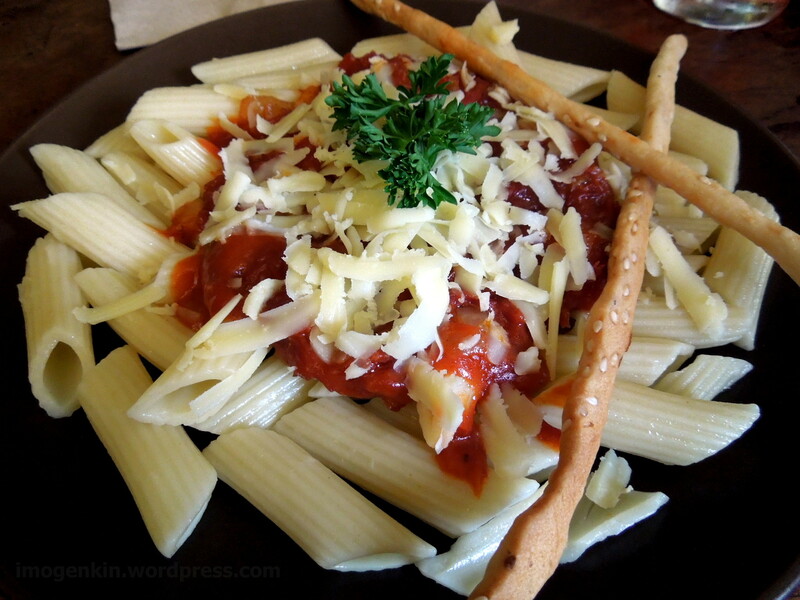 I had the Hashed Beef Penne Pasta (P110). This is corned beef in tomato-based sauce with garlic and onions that I, of course, had to pick out hehe. It has a generous serving and enough to keep you full for hours. Another pasta we tried is their Spicy Tuna Spinach Pasta (P95). 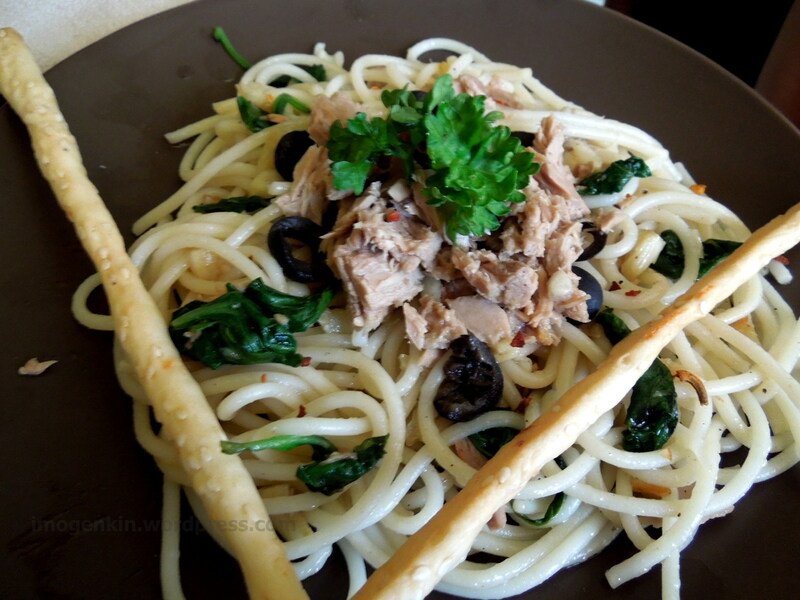 This is spicy tuna chunks tossed in vegetable oil with spinach leaves and olives. This isn’t too spicy which is a good thing. 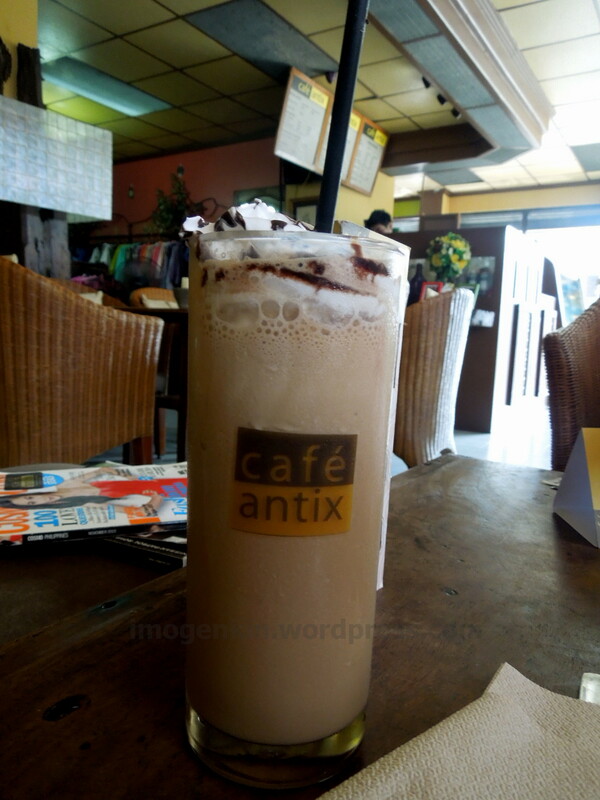 Cafe Antix is located at 5125 P. Burgos Ave. Cor. Cabuco St. Caridad, Cavite City.